On the storm coastline of Cornwall lies Mount Mellyn, a magnificent old family home. The Mount is home to the TreMellyn family, Connan and his daughter Alvean. Connan is recently widowed and looking for a governess for Alvean, who seems to go through governess’ at an alarming rate. Martha Leigh has agreed to take the governess post at the house, and she is dreading it. Having had her season she has not obtained what every Victorian woman dreams of–a husband. So after a couple of unsuccessful seasons her only option is to find a position. When she arrives at Mount Mellyn the house is imposing, dark, and basically all around creepy! When she meets the lord of the manor, Connan, she is not impressed. He is arrogant and pays little attention to his daughter. Alvean on the other hand is spoiled by the neighboring family–the Nansellock’s–and she has had little structure in the house. Alvean has basically been able to get away with anything with her other governess’ but that won’t be the case with Miss Leigh. As Miss Leigh gets settled into the new post, she starts to hear rumors about the previous lady of the house, Mrs TreMellyn who died tragically in an accident. She was running away with her lover, Geoffry Nansellock when there was a train wreck killing both of them. Since then, the master has barely been home and when he is home he virtually ignores his daughter. This is reprehensible to Miss Leigh. All Alvean wants it to show her father all the things she can do and have him be proud of her. Connan is an accomplished horseman, and clearly loves his horses and stables. Alvean would love to show her father that she can ride and love horses too, but there is a problem–Alvean is terrified of horses. Seeing an opportunity to win some of Alvean’s confidence, Miss Leigh (an accomplished horsewoman herself), begins training Alvean to ride. The two soon bond and share a passion for riding. While things seem to be progressing between Alvean and Miss Leigh, she can’t help but feel like there is a certain spectral presence haunting her in the house. She can feel the entity’s eyes on her and can’t help but wonder if Mrs TreMellyn actually died in the train crash or if she was the victim of something more sinister. Strange events begin happening in the house and Miss Leigh is left wondering if she is in fact employed by a murderer. 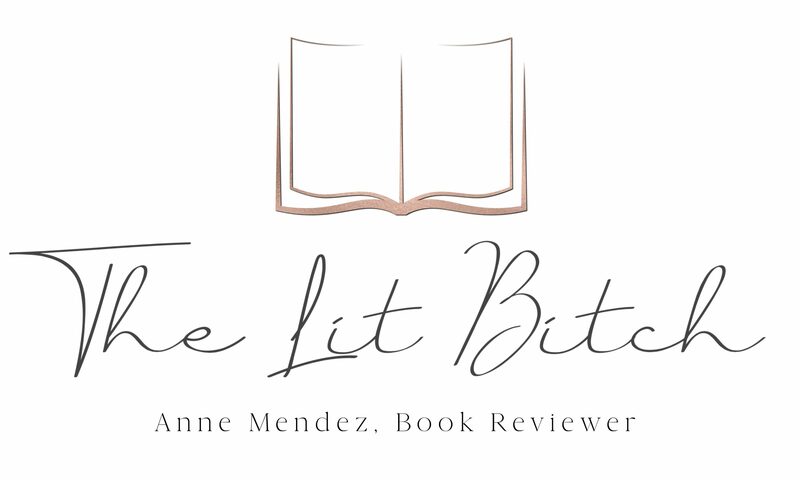 This book was a cross between Rebecca and Jane Eyre with a dash of The Woman in White. I adored it! I wasn’t crazy about the ending but that said I LOVED this book! I thought the motive for the crime wasn’t substantial enough. I had hoped there would be more justification and explanation at the end but there just wasn’t. I didn’t think the motive justified the crime. The ending was WAY too fast for me….there was so much build up and then suddenly it was over. But other than the ending, the novel was fantastic! It was very atmospheric and suspenseful. There are a couple of different mysteries going on which make this novel enjoyable on so many levels. Who is creeping around the old rooms belonging to Mrs TreMellyn? A ghost? Who framed the previous governess for theft? Who is trying to have Miss Leigh killed? What really happened to the first Mrs TreMellyn? There was a lot in the suspense forum as well as the romance category. Connan TreMellyn was Mr Darcy of sorts–arrogant and proud but at the same time, he was charming and gracious. I could see why Miss Leigh was so taken by him. I loved Miss Leigh. She was educated, sassy, and strong. As a heroine, particularly a Gothic heroine, she was perfect! I loved that there was a strong equestrian theme in the book, as a hunter/jumper equestrian myself, that made the novel all the more of a favorite for me! The Cornish coast was a perfect setting for this novel, the stormy coast and surrounding moors work so well to create a creepy, haunted feeling in the novel. I love crumbling castles on the coast! There is a lot to love in this classic Gothic romance! 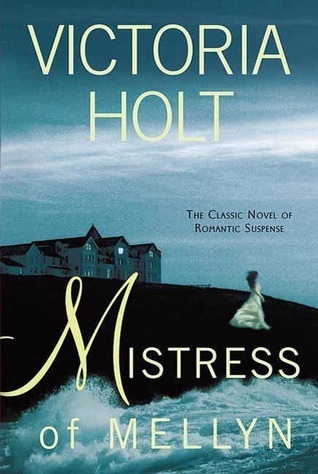 Victoria Holt holds a special place in my heart as an author. She’s the queen of modern Gothic Romance/Suspense novels. I love her story-telling style and would read any of her Gothic novels without question. It’s been years since I started reading her. I read a lot of her novels as a teen and recently read The India Fan. I have to say out of all her novels so far I like this one the best! It you are looking to get into the genre or maybe rediscovering Victoria Holt as an author, then I would highly recommend this one. It’s a classic Gothic Romance in every sense of the genre! People in love behave like ostriches. They buried their heads in the sand and thought because they saw no one, no one saw them. So this looks deliciously creepy but without being too scary. Yes, thats a very good way of putting it. It was def creepy but not overly so :).